This week has been so incredibly busy at school. Tuesday was the real doozy with a flurry of cookies and cupcakes. 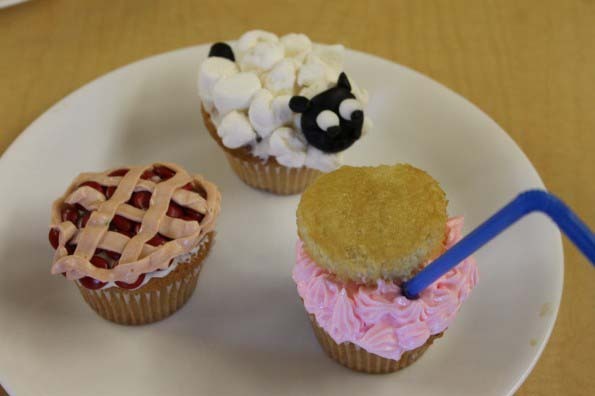 All of my school classes were doing cookie and cupcake wars. I think we had some incredible results. Here is our whole collection of cookies and cupcakes for your viewing pleasure. I used this Taste of Home Gingerbread recipe made the day before. 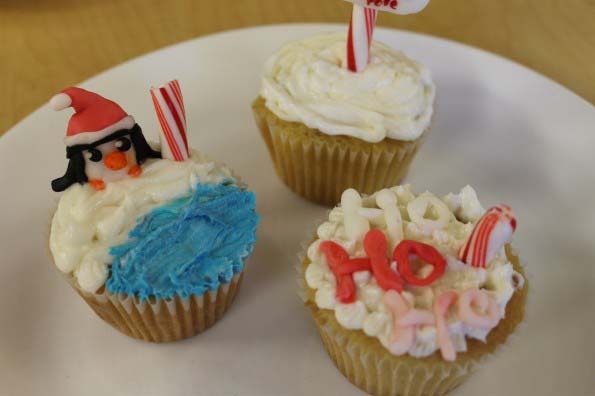 I used Sandra Lee’s royal icing recipe here. I used this perfectly vanilla cupcake recipe here and Wilton’s Buttercream frosting here. The cupcake war was a huge success. My students had an awesome time being creative. They stayed super busy the whole class period. Gingerbread cookie wars was fun also. Students will work for Chick-Fil-A gift cards any day!